In a Red Nose Day Special episode, Mr. Bean finds himself as a contestant on a TV show called 'Blind Date'. 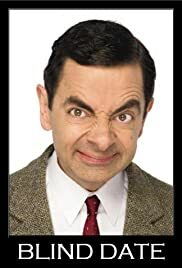 Among two other men, can Mr. Bean win a blind date with the beautiful Tracy. In this episode "Torvill and Bean". A play on Torvill and Dean, a famous figure-skating team -- the luckless Mr. Bean wreaks his usual havoc when he attends a performance of "Show on Ice." Mr Bean returns in this new sketch for Comic Relief. Mr. Bean returns in a sketch for Comic Relief to celebrate his 25th anniversary. Mr. Bean is getting prepared for Christmas in Bean-style.